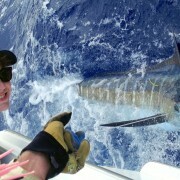 Record Ahi for Gary Nardi Aboard the Fire Hatt. Gary Nardi and his Father In-Law, Bill Chase from Northern CA have been fishing the Kona Hawaii Tournaments for years going back to the 70’s. Having been aboard many boats over the years, we were delighted to have them as team mates for the World Cup Marlin Tournament and the Fire Cracker Open this year. They brought along a nice collection of old stand by proven lures from their arsenal to pull. The World Cup left us with out a Marlin. 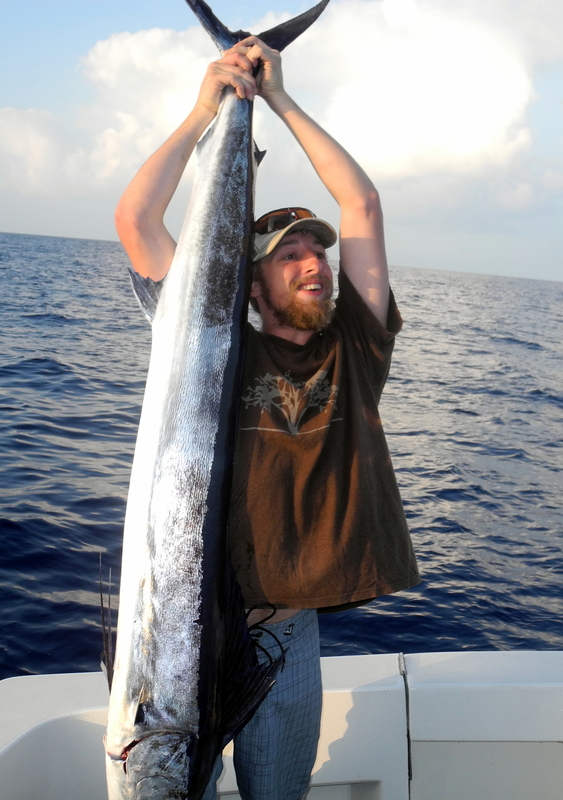 We had one nice strike and the fish did not stick…. This did not phase our team. Gary and Bill returned two days later with the same enthusiasim and the game was on! With lures set, including a favorite chrome jet of theirs on the stinger. 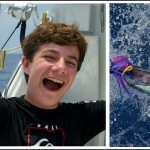 (A friend of theirs caught an 1100 pound Marlin on one just like it, so they have complete faith in it.) Sure enough, our first bite of the day…on the stinger, on their chrome jet! 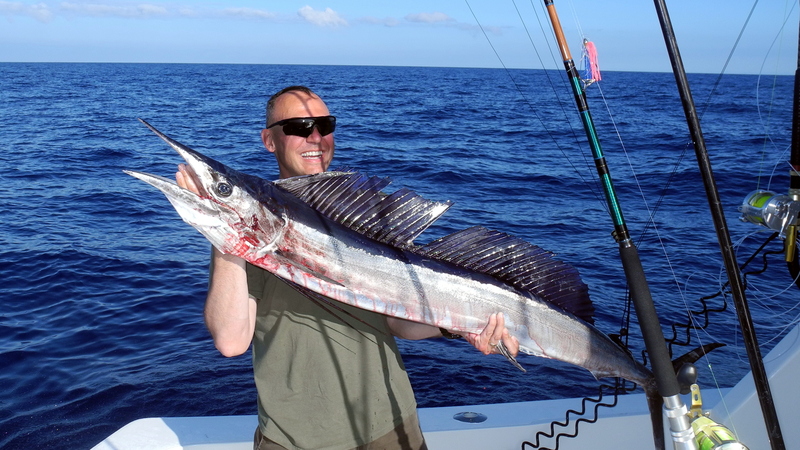 Gary fights the fish to the boat and knowing the feel of the fish, he knows it is probably an Ahi. 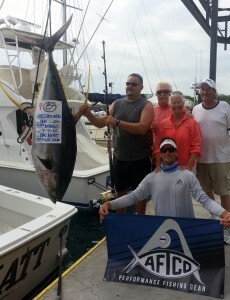 A beautiful 111 pound Yellowfin Tuna is boated and we are on the board for day one. With spirits high, we are now on day two of the Tournament. We set our pattern and wait. We had an early bite that did not stick. Then just after 3:00pm the long rigger line is bit. We are Hooked Up! The fish took an old Joe Yee Mini Plunger. Line is screaming off and Gary once again is in the chair. 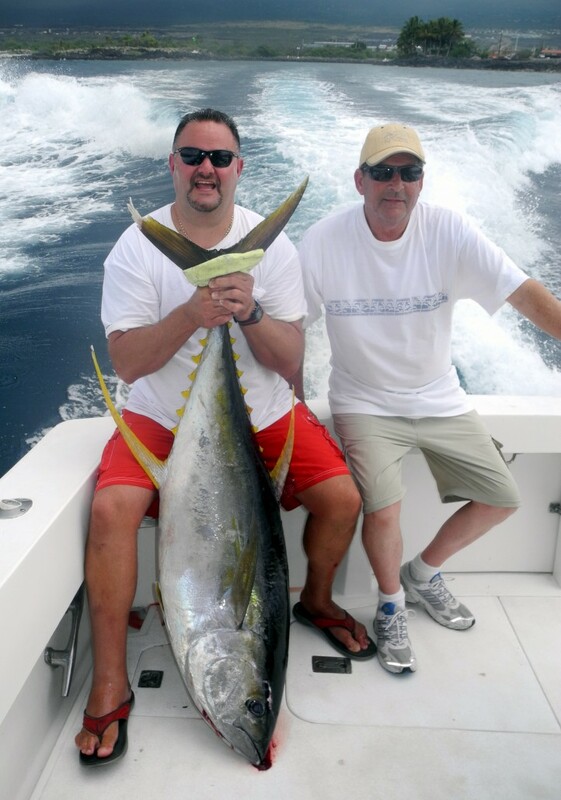 It is a much heavier fish than the day before and in just a short 20 minute fight the fish is to the boat. With Adam at leader and Linda at gaff, we have boated what is clearly a tournament contender and a new boat record for Yellowfin Tuna. The Ahi weighs in at 235 pounds taking the Dailies for day two in the Ahi division. 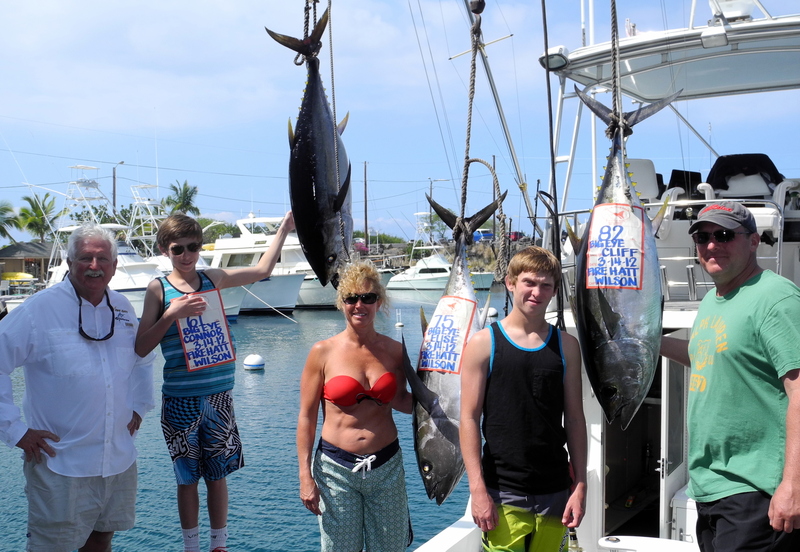 The biggest Ahi of the tournament was caught by Team Maui Jim weighing in at 236.5 pounds. So close! Featured in the photo representing AFTCO as one of their Pro Teams is Captain Chuck Wilson, First Mate Adam Ludwig and Second Mate Linda Wilson along with team mates Gary Nardi and Bill Chase.